Happy New Year to everyone! I hope that everyone had a fabulous holiday season. Today I want to share this sweet birthday card with you as I post as a member of the Action Wobble Design Team! The Action Wobble is located under the sentiment "Hoppy Birthday." 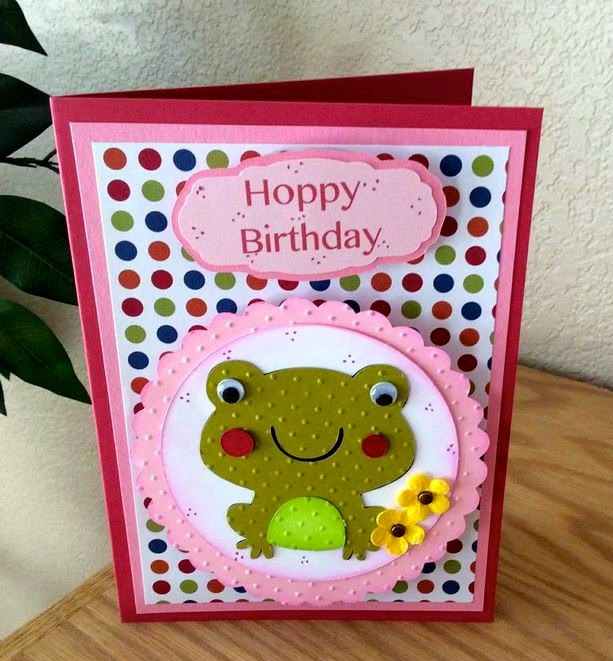 This adorable frog is meant to brighten the birthday of its recipient as he wishes them a Hoppy Birthday! 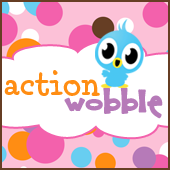 An Action Wobble was added to the sentiment to add fun and interest to the card.